Today we are surrounded by digital information that is created by a variety of organizations and individuals. In a matter of seconds a search finds thousands of possible resources related to the topic we are searching for. As mobile tools, become an integral part of our daily lives and the ability to find out almost anything if we have Internet access, causes me to ask – am I able to find the best Catholic information online or will I also find “fake” information related to my faith? A student who has been assigned the task of explaining the History of the Sacrament of Baptism or any topic to be researched! A catechist who is involved with Parents who will be baptizing their child and preparing a parent lesson. I’m delighted to see “Sacrament of Baptism History” as an option. Choose this topic or you can just type in the Google search field “Sacrament of Baptism History” as you begin your search. Is this a Catholic website? If yes, is it sponsored by the Vatican, the USCCB, a Diocese, a Parish, a Catholic Publisher, a Catholic University, or by an individual who is writing this article. What do you know about the writer? Name, who do they represent – Vatican, Diocese, Parish, Catholic Publisher, Catholic University – Theology Department, Self? What degrees do they have? Who are they associated with? Is the information current, dated or biased? Sacraments of Baptism and Confirmation Catholic Education Resource Center Fr. John Hardon, SJ – Biography – http://www.hardonsj.org/biography/ The Catholic Faith 4, no. 4 (July/August 1998): 5-11. Just asking these three questions, and after identifying the responses to the questions I would choose three articles to begin my research and learning. Catechism of the Catholic Church – Baptism: This is a Vatican sponsored article and is part of the newest Catechism. A good resource to study. The Holy Trinity parish article: Why? It is written for a parish audience to quickly and simply explain to them information about the Sacrament. After reading the Catechism article, I would be comparing the Catechism content with this article to see how this article clearly articulates what has been approved by the Vatican. Despite no date or specific author listed, this is a current Catholic parish in the Shreveport Diocese. While reading the article, references to the CCC are made which indicates that this is a current article, most likely prepared by a parish staff member. Baptism – New Advent: Since we are focusing on the History of the Sacrament of Baptism, this article was approved by bishops in 1907. It would provide an explanation of the sacrament at this historical time. Since I read the two more current articles, I will be trying to identify what is the same or different between the Catechism Article (1993) and the Catholic Encyclopedia article (1907) regarding the history of the sacrament of Baptism. This article will contextualize for me how the Church understood the Sacrament of Baptism before Vatican II. Professor Emeritus – indicates for me someone who is academically astute, but may have a more traditional mindset that may not support Vatican II theology. These members represent – English and Humanities, School of Education, Christianity & Culture Program, Philosophy, Social and Political Philosophy. Organizations that are known to support Pre-Vatican II Theology: Franciscan University of Steubenville, Ignatius Press, and Catholic Answers. Author “Fr. Hardon, SJ who is known in Catholic circles to be more of a traditionalist who was critical of Vatican II theology. It is important to know and be aware of both sides of the equation in today’s church. 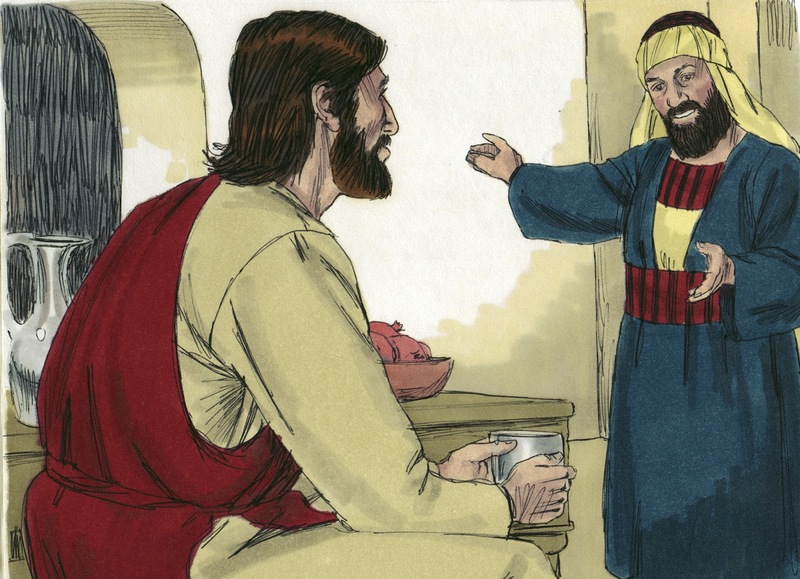 The audience who arrives on your doorstep comes from a rainbow of theological experience. As a teacher/learner it is important to respect the rainbow of colors in a parish. Our call is not to engage our communities in fighting one another regarding who is right and who is wrong. Our call is to engage our faith communities in a dialogue so that both sides grow in understanding and welcoming one another. Sacrament of Baptism – Catholic Doors. Overall the design of this content is not very appealing as it is all text based. On closer examination to see who is sponsoring the website, I found the following – The Catholic Doors Ministry is owned and managed by Jonn Miller. This ministry is a response to Pope John-Paul II’s appeal that the West is in need of re-evangelization. There is no additional information about Jonn Miller. There is this statement – Catholic Doors Ministry operates from Saskatoon, Saskatchewan, Canada. Even after googling “Jonn Miller saskatoon saskatchewan Canada” or “Jonn Miller Catholic Doors Ministry” I did not find any significant information Jonn, specifically a short bio or any additional information about this person. History of Baptism – Wikipedia. In general I, do not recommend Wikipedia articles as I will always want to compare and contrast with recognizable other sources the content of their material especially related to faith based articles. Why? My personal bias is that a website with faith and theological content needs to be reviewed by theologians (academic or practical) who are recognized for their expertise. In general, Wikipedia articles are written and edited by those who sign up with Wikipedia. There is no vetting process to acknowledge that we are receiving good theology in these articles. And even if approved, by fact that this is a wiki tool, anyone can come and add information at any time that may or may not be accurate. When I check the “Cite This Page” I notice that the Author is listed as “Wikipedia Contributors.” I have no idea who these contributors are as they are not listed. Thus, there is no way to learn more about these authors. Gone are the days when there are only ONE or TWO resources to read. Today’s digital world is a library of articles written by a variety of writers who have and do not have a theological background. Our task is to find the best articles to assist us in learning more about our faith. As I ask questions about my faith – Who is Jesus? 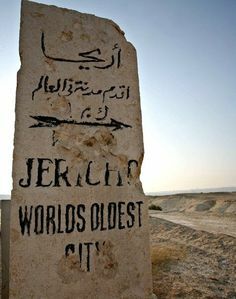 Where did he live? What is the Bible? How do I study the Bible online? And many other questions, it is possible to ask Google or any other Search Engine to assist us in learning more about our faith. However, the task is now on us to locate and find the information that will truly enlighten us! We need to admit that today we live in a church with a rainbow of theologies: Pre-Vatican II, Vatican II, and Post Vatican II. This rainbow of theologies is represented in the articles we find on the Internet. I particpated on February 6, 2017 at a Listening Session where our new Bishop Gregory Parkes, invited parish members to share their insights around three questions. As I listened to the shared comments representing the 500 persons attending this event, I heard statements that reflected the rainbow of theologies that currently exist in our church. Because we are simple human beings, we will gravitate towards our personal bias and expect others to believe like us. It is time to respect and learn from one another. We all have a bit of the truth that we are invited to learn from one another. It is not time to “push” our beliefs onto others. It is time to engage in a conversation or dialogue that allows me to grow in a deeper relationship with Jesus. As you engage in Internet research to learn more about your faith, come with clear questions you are using to guide you in picking your resources. Take the time you need to “discern” and “choose” the best articles to read and reflect on that will engage you in becoming a faith-filled Catholic! Remember it is not what you know about your faith! It is about knowing and coming to a deeper relationship with Jesus! You embrace technology! New tools, new media of various types, you take time to explore and learn what is available. You are not afraid to try! Digital Citizenship is important to you. You model it in your everyday digital world. You encourage others to be responsible digital citizens. 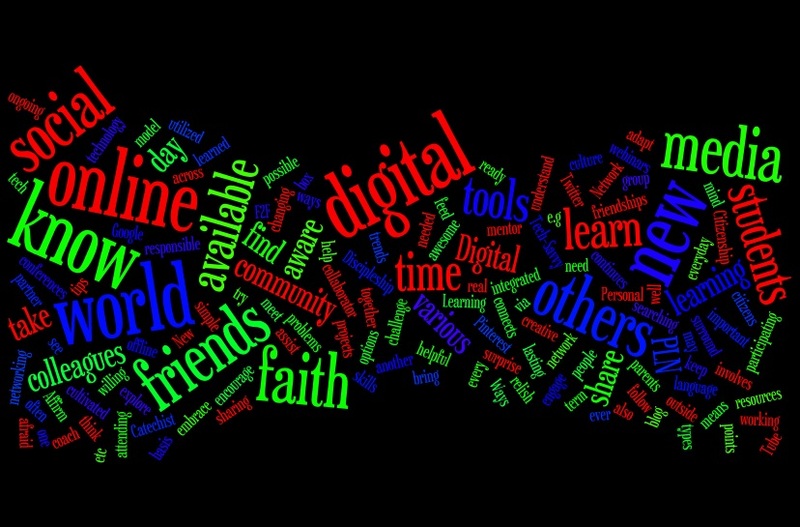 Digital Discipleship means that you are willing to share your faith with others online via various social media tools. You are a partner and collaborator with others across the world. You are aware of how social media tools are utilized to bring people together to share projects and faith with one another. These colleagues are also available to assist you when needed. You are aware that this digital world is a new culture, language, and involves learning new skills. You take time to learn new trends and understand how they can be integrated into the faith community. You find time to learn on an ongoing basis, participating in webinars, attending conferences, searching You Tube or Google for what you need to know, and more! Your network of friends are colleagues you may see every day as well as your online friends. You relish the day your online friends will meet you F2F. You’ve learned that social networking connects you with new and lasting friendships. You know that online community is possible! The term PLN – Personal Learning Network is real for you. You have cultivated a group of friends (both online and offline) who are there to coach, mentor, and challenge you. When you have tech problems, your PLN is available to help you think outside the box! When you are working with students, they know you are awesome! You engage them in learning and sharing their faith in creative digital ways that often surprise them. Your students, parents, or others follow your blog or Twitter feed or any of your other social media options (e.g., Pinterest, etc.). Your students know that they can find helpful tips and resources in your comments. So you would like to do a Scripture Digital Storytelling Prayer Experience with your junior high or high school students? Or you would like to involve the young adults or the adults in your RCIA group in a prayerful digital experience? Pick a reading from the USCCB daily readings. Forward the link to your students or adults. Invite them to print out the reading or they may prefer to read it on screen. Invite them to find a quiet space where they can prayerfully read the Scripture of the chosen day. Ask them to underline or highlight the phrases that are meaningful to them. It may be helpful read the Scripture a second time, and to affirm the words, phrases, or sentences that have been underlined or highlighted. Then invite them to develop a simple script with the phrases and then to choose photos that fit the text. (Note: They may wish to take their own digital photo’s or they may want to search for Creative Commons Photo’s that are located at Copyright-Friendly and Copyleft (Mostly!) Images and Sound for Use in Media Projects and Web Pages, Blogs, Wikis, etc. See example “Good Friday of the Lord’s Passion” script. Choose a tool to create a video. I like Animoto for two reasons. One, it is possible to create a FREE account and then create FREE 30-second videos; and two, the PLUS fee version is very inexpensive at $5.00 per month or $30 per year (as of April 2011). There are other options, including using Windows Live Moviemaker which is included with most PC’s and if you have access to a MAC, you can create your video using iMovie . 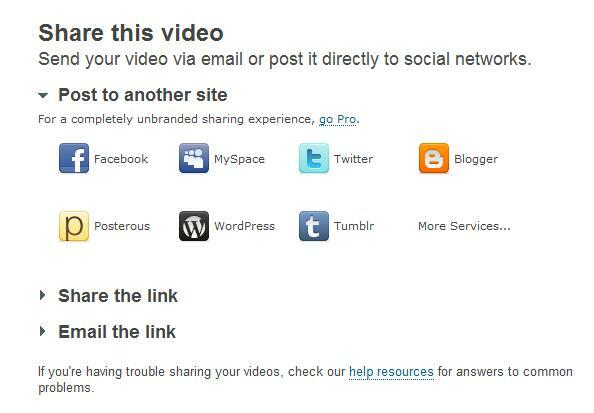 Other tools are described at Video Toolbox: 150+ Online Video Tools and Resources. If you’re thinking, this is impossible to do in my parish setting, I invite you think creatively with this type of project. A high percentage of your participants will have computer at home, invite them to get involved with completing the project at home. Some of your participants will have an iPhone. 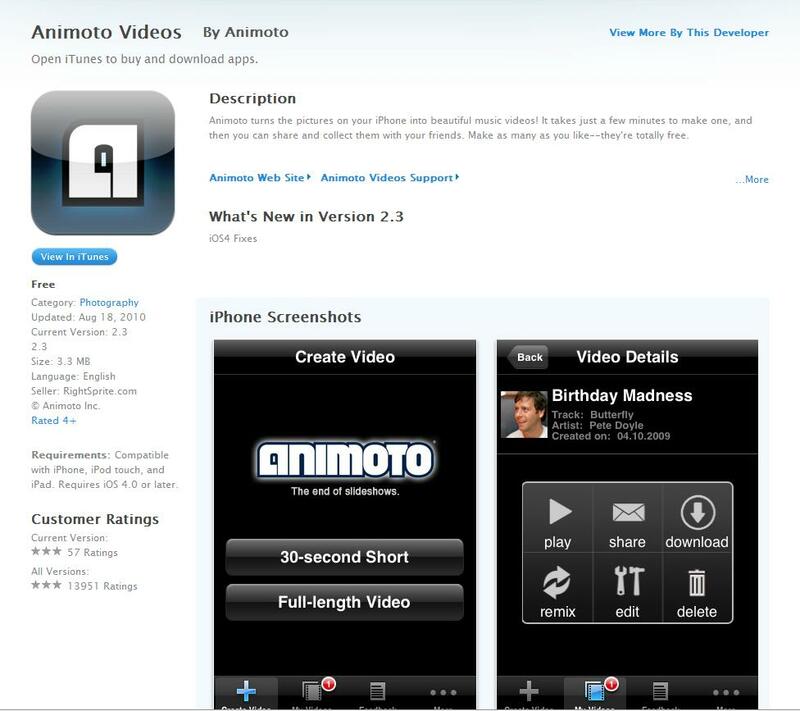 There is an Animoto App. Go to the iTunes App store to download the free app! This will allow the student or adult to use their iPhone to take needed photos and then to use them in creating their video from their iPhone. 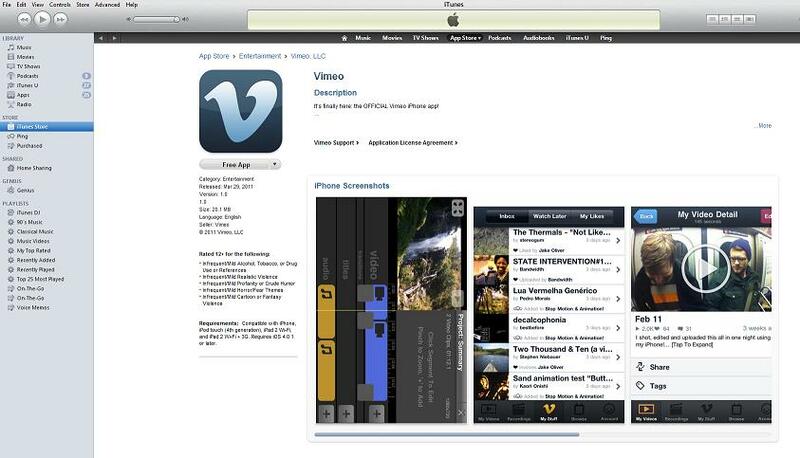 Another iPhone App was just created for Vimeo. Now you can upload, watch, manage and even edit your videos right from your iPhone. This is just the beginning, so stay tuned for regular updates with feature improvements. For now, go download it from the app store! What can you do with the videos? When you work with the Animoto website to create your video, you will notice that there are several options. 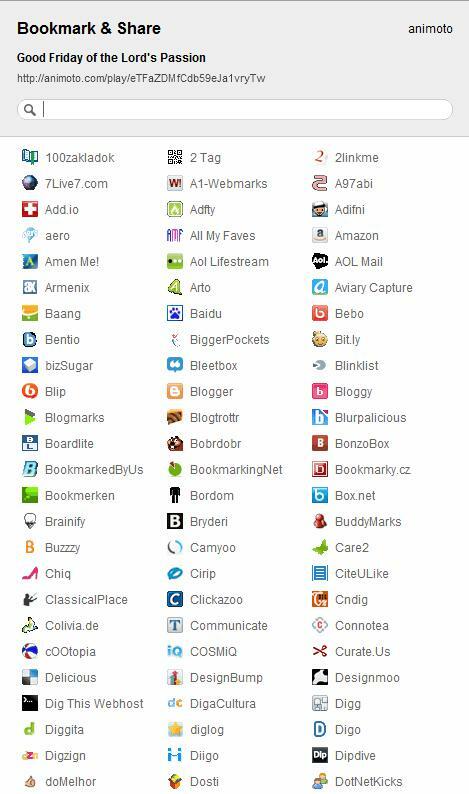 You will also notice that you can share your link with other Web 2.0 services. All you need to do is to decide what services best fit your class and parish. You can add comments to this video which will also show up on your Facebook account. 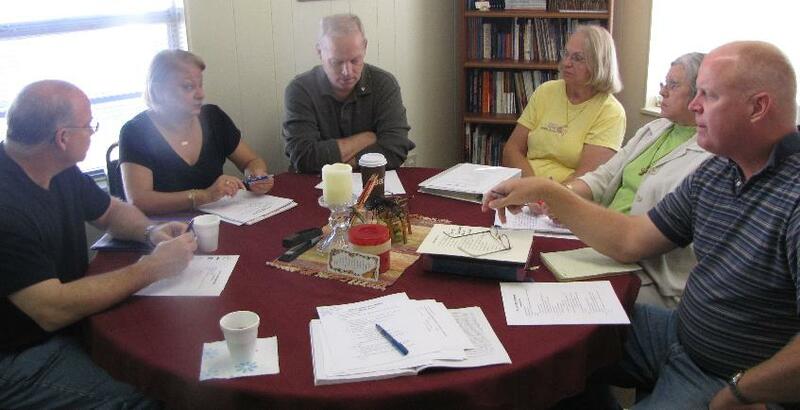 Yes, there are a variety of ways of sharing the fruit of your prayer with those in your class, RCIA group, or parish. And as we share, we continue to evangelize others with the gifts of our digital prayers. We “make” media that leads people to the truth when we use our blogs or Facebook pages not just to gossip or report on the more mundane aspects of our life, but to talk about what really matters to us and why. Our blog can be a vehicle for articulating our struggles with the culture, our questions about the Faith, or our journey to God. In online forums we can evangelize, and on social networking sites we can post interesting articles about faith or culture that can spark discussions among friends from various viewpoints. Even posting pictures of our children on a social networking site can communicate some of the truth about Catholic family life. In all those ways, our use of the social media reflects and promotes an understanding of truth. As we celebrate Easter on Sunday, April 24th I will be celebrating Easter with friends. I will post the next article on Wednesday, April 27. Come join in the conversation that I will begin with NCEA workshop participants around the topic of being a Digital Age Catechetical Leader. 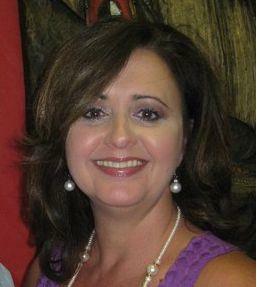 Welcome to our guest blogger, Carmen Cayon! This year I began a new position as Director of Faith Formation and Evangelization. As I gathered the RCIA team I introduced our blog site; Incarnation Catholic RCIA as a tool we could use to better communicate with each other and with our catechumens. Our Core Team consists of “Digital Immigrants” and the challenge: how to sell these catechists on the value of a blog site. As I reflected on this challenge, I realized that I am part of the problem. I allow my own fears and bias’ to affect the way I think about blogs. Therefore, part of my work has to be to surround myself with digital natives, those whose way of thinking is not impacted by the same fears that I hold for the new frontier our Holy Father calls the “digital continent”. Inspires us with the “big picture” by providing a place to post and dialogue about how God communicates his love for us through visible signs. Being around “Digital Natives” helps me see that the digital continent can be holy ground. We must confront our fears, assess our own biases, and learn from those who have an openness and flexibility toward a new way of being there for one another. This is a new kind of evangelization that our Church is calling us to, we must not ignore it! Carmen Cayon is the Director of Faith Formation and Evangelization at Incarnation Catholic Church, Tampa, Florida. Photo Credit: Photography by Cayon (c) 2010. If you enjoyed this post, please consider leaving a comment or subscribing to the feed to receive future articles delivered to your feed reader.